Another month, another box... I do love getting surprises through the post! I was super excited to try this, and so was Mr Hatter! These haven't even hit the shops yet so it was a privilege to receive these in my box this month. 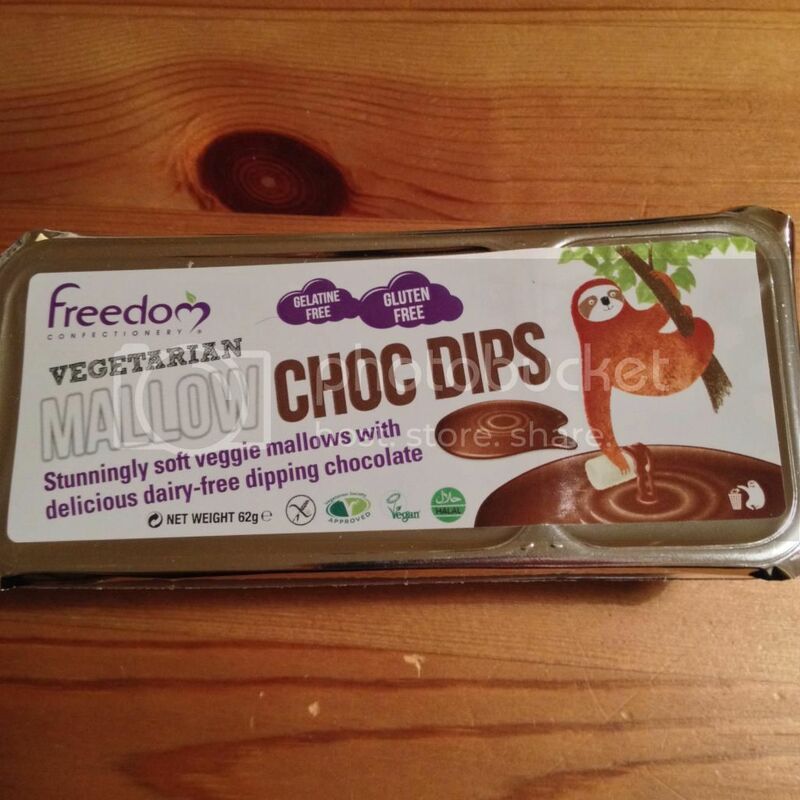 I have enjoyed vegan marshmallows from Freedom in the past, so was looking forward to the chocolate dipping action. It's a nice idea and tasted great but we did find it very messy. Maybe we wouldn't have got as messy if the mallows were longer; the pot shallower and wider; or the sauce a little thicker. That said, we still enjoyed them! 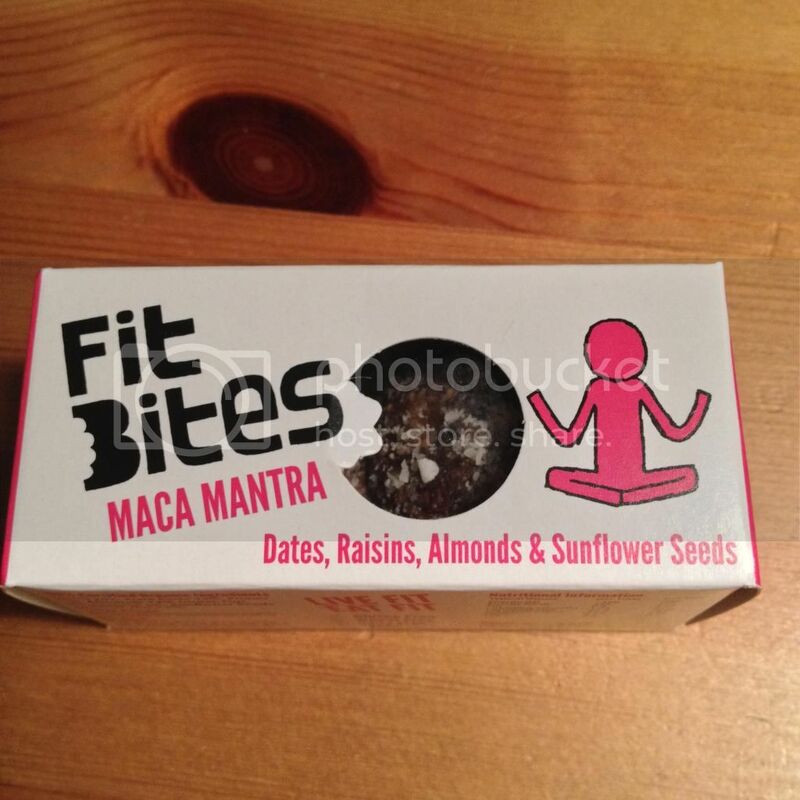 I love the idea of these - packing in lots of nutrient-dense superfoods for an energising snack, but I must admit I didn't enjoy them. They tasted pretty good, but there was something about the texture that I wasn't keen on - and I can't even pinpoint what it was! Maybe my tastebuds were just playing up that day. 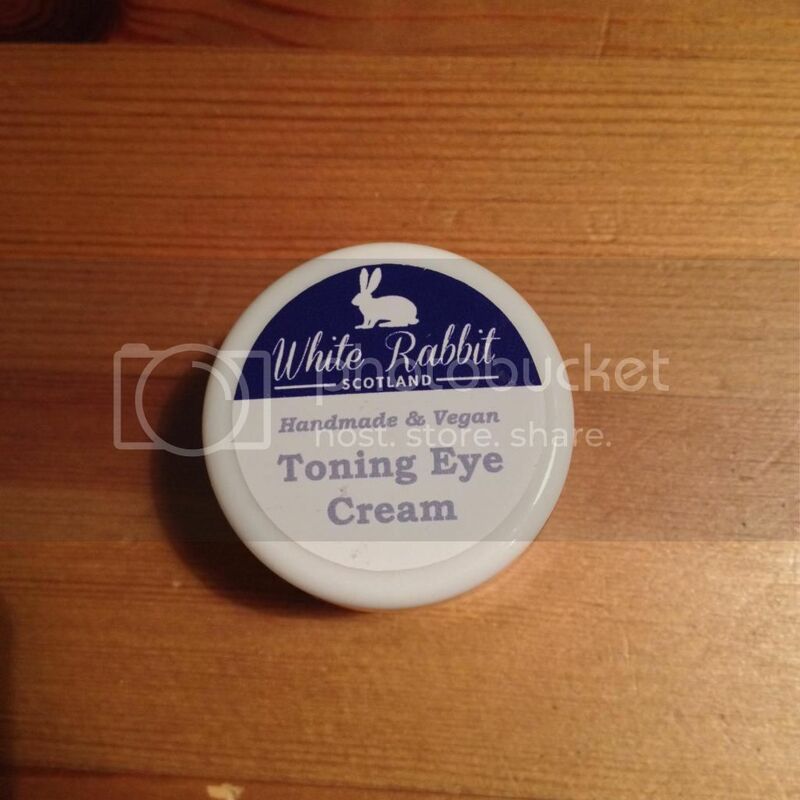 White Rabbit Skincare have an etsy shop providing affordable vegan skin care that is freshly made by hand. 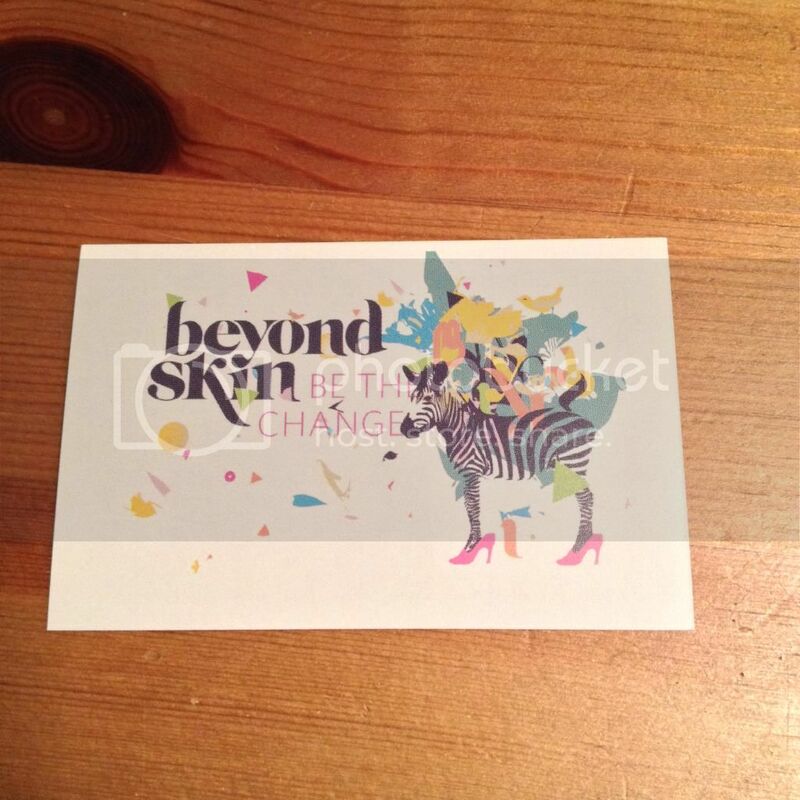 Unfortunately, the pot of eye cream I received was mouldy but as I didn't open it until I sat down to write my review, it meant I wanted to wait until I'd been in touch with the shop before writing anything - hence the delay. The lovely lady at White Rabbit was very accommodating. It seems there was a bad batch that ended up in the boxes, but she offered to send me a replacement or an alternative product. I don't really use eye cream, so asked if there was any facial cleanser she would be happy to send instead. She (very speedily) sent me a tub of Comfort Cleanser, which comes with a soft cloth. The cleanser has a pleasant scent, and while it was strange to apply (it has a very thick texture compared to what I've used before), it left my skin feeling lovely after I wiped it off (with the soft cloth). So it's a shame about the eye cream, but I am very happy with my replacement! This was definitely my favourite product this month (although Mr Hatter wasn't so keen). I loved these. 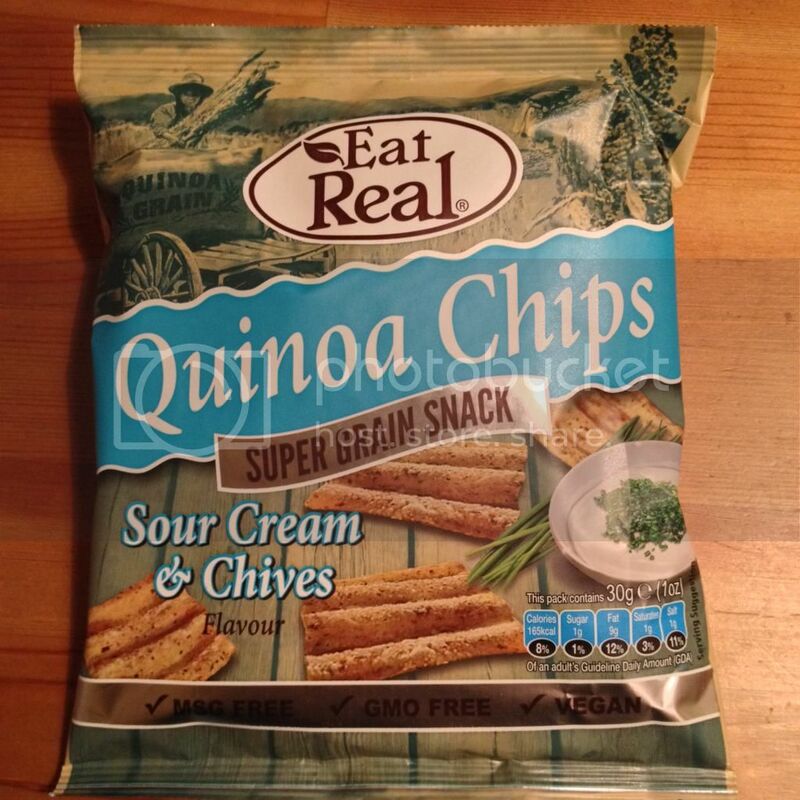 They made me think of grown-up quavers, with the light and crunchy texture, and the sour cream & chive flavour. (Yes, it's been a long long time since I had a quaver, so they may be nothing like them...). I liked these so much, I bought another (bigger) bag! I will definitely be getting these again! 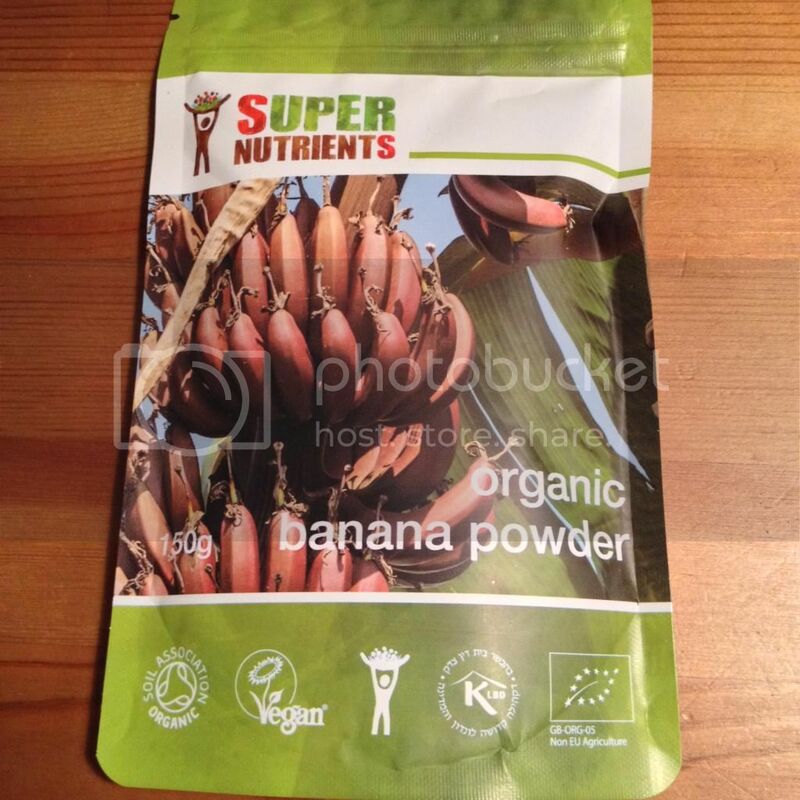 I had never heard of banana powder before pulling this packet out of my box, but I'm glad I know about it now. It's intense banana flavour can add extra banana-ness to an already banana-y recipe like this one, or it can add a banana flavour to something that doesn't contain banana (I used it this way in some overnight oats). It is naturally sweet, so lends itself well to healthy breakfasts and desserts for those of us with a sweet tooth! I wonder what other uses I will find... any suggestions? The recipe card this month was from Fresh Heather again - this time for a Super Green Smoothie. I still haven't got my head around the whole green drinks thing but maybe this will entice me! 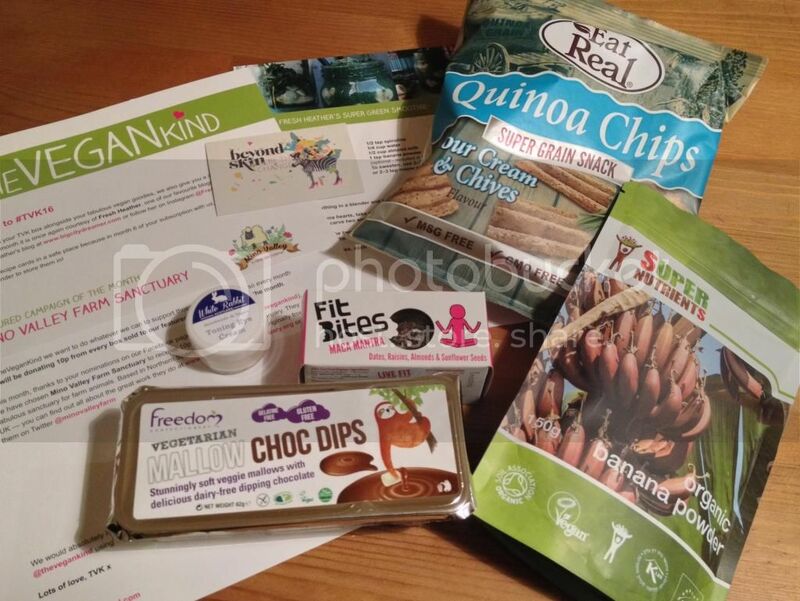 10p from each box sold this month is going to Mino Valley Farm Sanctuary, who look after abused and abandoned farm animals in Northern Spain. Looks like a fun box! I love the idea of a mallow choc dip but the chocolate would need to be solid enough not to drip everywhere whilst you're eating it otherwise it doesn't really work as an on-the-go treat. Oh and it took me a long time to get my head around green drinks but now I love them, the key is to get a good balance of citrus in there (I always add a whole orange and the juice of half of a lemon) to balance the taste of the greens. Oh that's a great suggestion for green drinks, I'll have to try it!